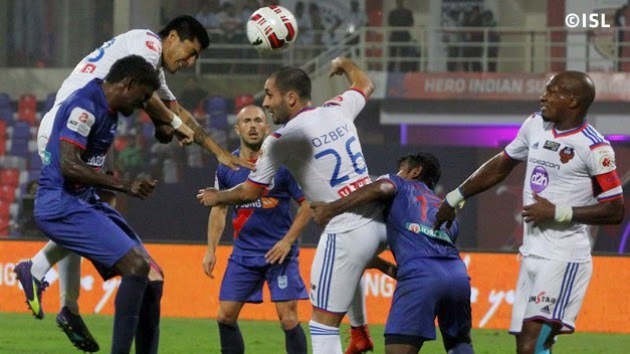 Atlético de Kolkata continued their charmed life at the top of the Hero Indian Super League table after Mumbai City FC failed to take their chances against FC Goa at the DY Patil Stadium in Navi Mumbai tonight. The match ended in yet another goalless draw. It was the second clean sheet for the visitors who remain in seventh spot with nine points while the hosts remain in fifth spot with 12. Goa will however take heart from this competent defensive performance while Mumbai rue their inability to score a goal in their third successive game.